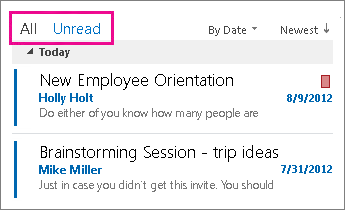 The first thing you’ll see when you open Outlook is a brand new look. It’s cleaner, but it’s also designed to help you focus on what’s important with a clear view of email, calendars, and contacts. 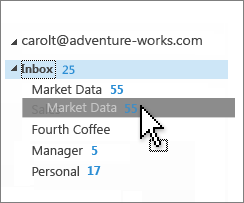 To learn how you can start working with emails, tasks or appointments, and calendars in Outlook 2013, see Basic tasks in Outlook 2013 and Outlook 2013 Quick Start Guide. Important: Some features aren't available in Office 2013 RT applications. 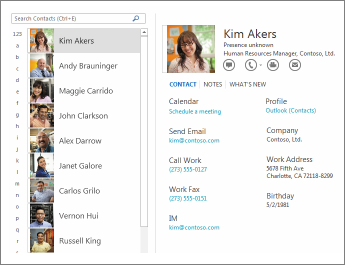 Want to see what version of Office you're using? Know at a glance which messages to read and tackle first. Reply with one click by typing your response right in the Reading Pane. Or, start a Lync IM conversation for a real-time chat. Flag, delete, or mark your messages read or unread with handy commands in the message list. 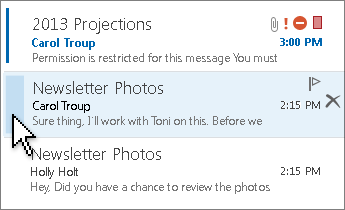 Also, with the All and Unread buttons in the inbox, you can focus on the messages you want. Rename the folders in your Inbox and move them around to support the way you work. Grab a quick glance at your schedule, an appointment, or details about someone you’re emailing—without, for example, having to switch from email to calendar or other modes. Just above the status bar at the bottom of the screen, you’ll find a clearer view of Mail, Calendar, People, and Tasks, for easy navigation. 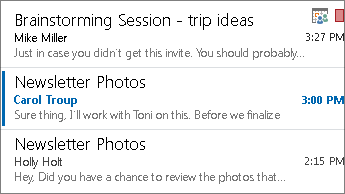 Give everyone on your team access to a team folder, calendar, and task list to manage on the go, using the combined power of Outlook, Exchange, and SharePoint. 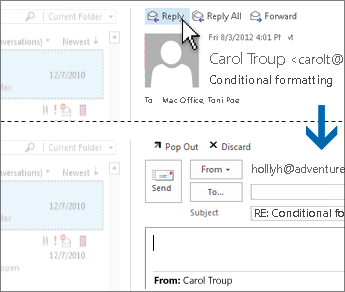 Outlook 2013 includes built-in support for Exchange ActiveSync, which means you don’t need a special connector add-in to connect to Outlook.com (formerly Hotmail). 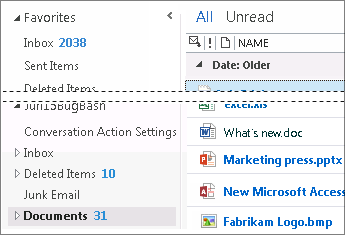 Also, if you use Tasks to plan every detail of your life, now you can sync Outlook.com Tasks with Outlook to put all those plans together. 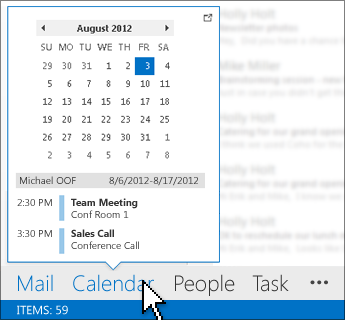 Search email, attachments, calendar appointments and contacts to find the information you need fast. 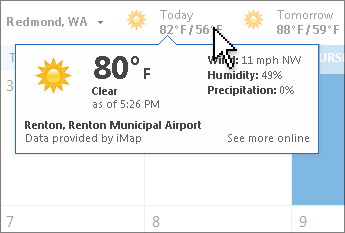 You don't have to find your local weather forecast because it's right there in Calendar view, along with current conditions. Tip: To turn this feature on or off, go to File > Options > Calendar > Weather.